We are a small-town dealership who is committed to providing a family-like friendly atmosphere and a personalized purchase experience. 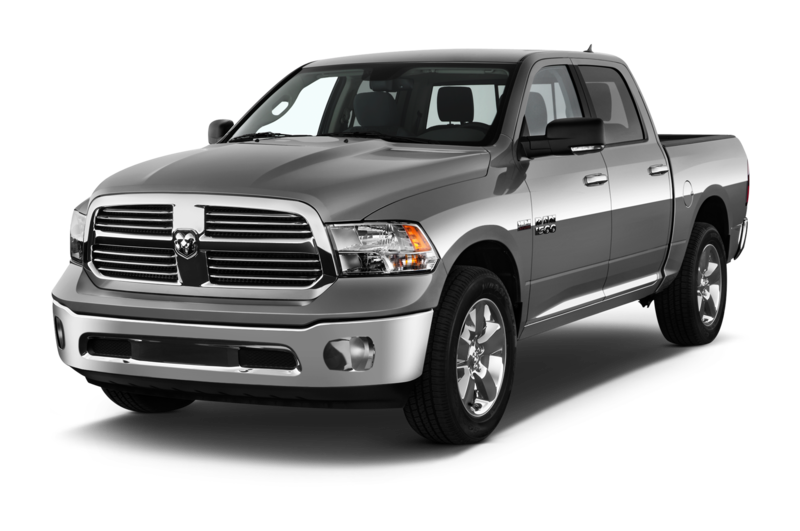 Leamington Chrysler provides exceptional quality used trucks for sale near Wheatley, ON for savvy shoppers. Smart truck-buyers know that they can get a great deal on a used truck that delivers the performance, utility, and comfort for a fraction of the price of buying new. Find a fantastic selection of used trucks at our dealership today! 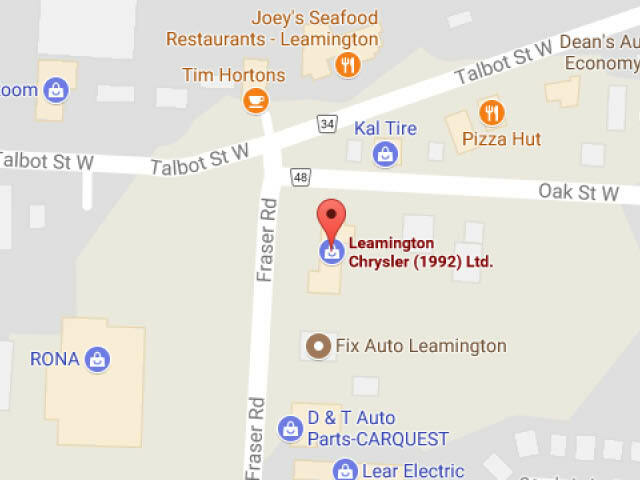 Leamington Chrysler is conveniently located at 170 Oak Street West. Enjoy the beautiful drive to Leamington along the shores of Lake Erie. Our customer-focused approach will ensure that you are 100% happy with your purchase decision, and we will also provide you with all of the support you need throughout the life of your vehicle. We combine state-of-the-art modern technology with family-oriented business values of your grandparents' generation. We offer CarProof history reports for many of our used vehicles. Additionally, if there is a truck you want that we don't currently have in stock, we offer the handy CarFinder tool right on our website! Simply fill out the quick form indicating what you're looking for, and we will place the order for you. If you want to get a great deal on used trucks for sale near Wheatley, check out our vehicle specials. Our promotion vehicles don't' last long, so be sure to check our website regularly, or give us a call to see what we have in store. Browsing is easier than every before with our online inventory search tool. View what we have in store from the comfort of your own home. You can filter by model, make, price and year! Get one step closer to purchasing your truck with our quick pre-approval application. Simply fill out the form online and we will process your application and get you on the road to being a happy truck-owner in no time! We have an in-house finance department to help you with all of your financing and leasing needs. 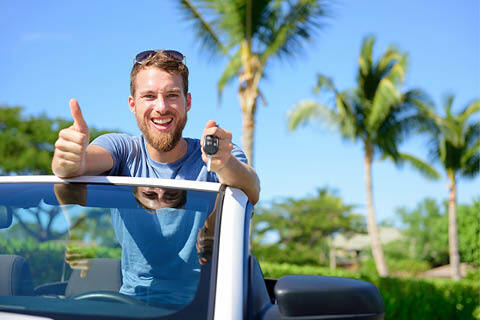 When you purchase used trucks for sale near Wheatley, you want a great price, but you also want top-notch customer service to help you find the perfect vehicle. It's also important that you have the support of a knowledgeable and dedicated team of automotive experts to help you with all of your needs throughout the life of your vehicle. Join us and experience the difference of a dealership that goes above and beyond. Enjoy all of the benefits of certified factory parts for your truck. If you ever need a part replaced, or if you're looking to accessorize your truck, then we can get the right part to perfectly fit your vehicle. Our highly-qualified technicians are here to support you throughout your journey and to help you get the most enjoyment from your vehicle as possible! Our knowledgeable product specialists will help you choose the best option to suit all of your needs which will save you time searching, and ensure you get the best truck for you. We never use sales pressure tactics because we want you to be 100% happy with your decision. So, visit us at 170 Oak Street in Leamington at your convenience and enjoy a better dealership experience.